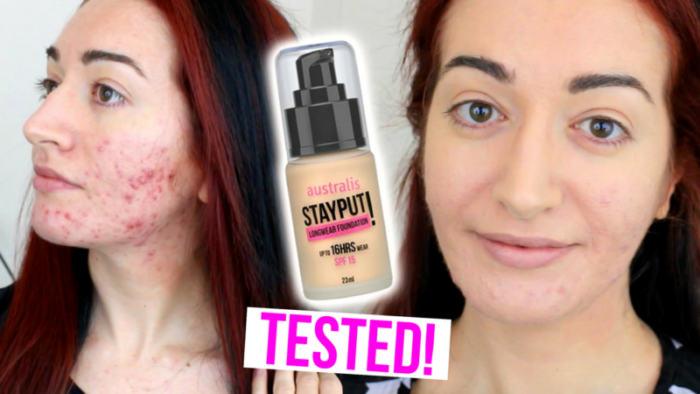 Another day, another foundation review! And spoiler alert: it’s another one you’ll probably want to rush out and buy. The Australis STAYPUT! 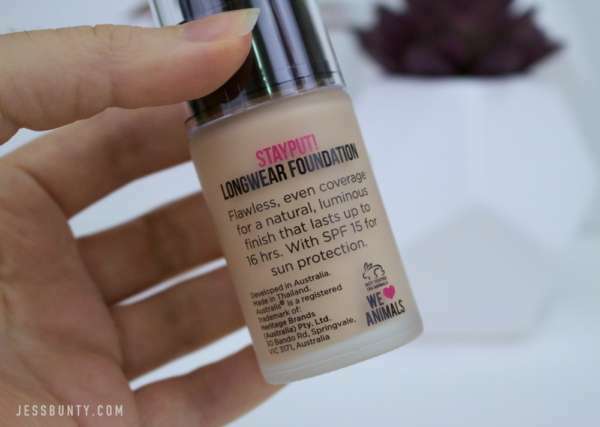 Longwear foundation is pretty bloody awesome in a lot of ways, but as always, there’s a few cons too. But look, more about that later, let’s get stuck into the good stuff! The Australis STAYPUT! 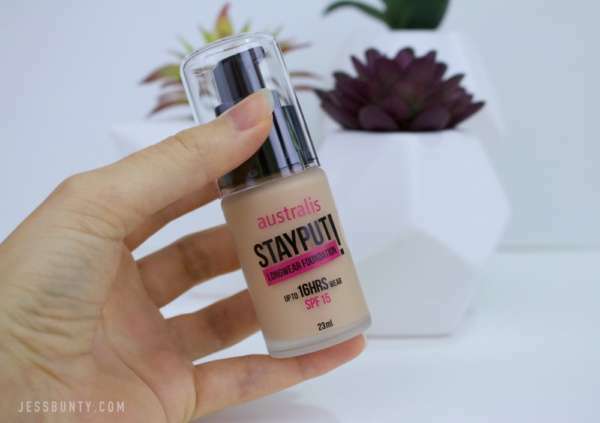 foundation has been around for a few years now, and still seems to be fairly popular. Which means you shouldn’t have much trouble finding it at Priceline and elsewhere. Woo hoo! It’s fair priced. I’m not going to say it’s super duper cheap, not like the Essence 16 hour foundation! But, for a genuinely long-wearing product, $16.49 is extremely fair, and extremely worth it. The packaging is perfection. Not only does it come is a classy glass bottle, but it comes with a pump! And you can easily twist off the pump to get every last drop. To me, this is smart, economical and eco-friendly. It feels good on the skin. I’m sure we’ve all been there: you face might look good, but it feels heavy, caked in foundation. 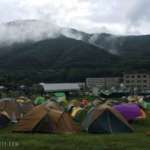 The STAYPUT! foundation feels GOOD. I wouldn’t even know I was wearing it most of the time! It does exceptionally well with oil. I don’t think this is made for oily skin. At least, there’s nothing I can see which indicates they were thinking of us oily-skinned folk when they made this. However, being a long-wearing formulation, you’d hope that would mean it would stay stuck! And it absolutely does. Score! It blends well. Being long-wearing, you might think that you need to act quickly to apply this to your dial before it starts to set. But… nope! Take your time! It easily moves and blends on the skin, so you won’t feel rushed during application. It smells pretty good! I’ve had one person tell me that they hated this foundation because it smelled so much like sunscreen. If you get this and it smells strong, or weird, return it. It is NOT meant to smell bad! To me, it’s just a lightly floral scent, nothing dramatic, and definitely not overpowering. It has SPF 15+. I don’t care so much about this, but some of you might. So there ya go – it’s got SPF! It really does last ‘up to’ 16 hours. Full disclosure: I couldn’t test it for the full 16 hours because I was too slow to get my act together on the morning of testing, but I did wear it for over 11 hours and was really chuffed with the result. I noticed that after 7-8 hours, it basically settled as much as it was going to, and stayed in the same condition from then on. Not bad at all! It’s cruelty-free and vegan. Yup. Enough said! It doesn’t do great with creasing. I found that this creased quite a bit around my nose, which was unusual. My smile lines were looking pretty average too, but even more than this… the creasing under my eyes was insane. But, I don’t know if I should blame the foundation for this really. The concealer I had on was terrible, and was most likely the actual culprit. The SPF may give you flashback. I didn’t test this, but it’s something to be aware of if you were thinking of trying this on a big night out with your friends, taking lots of selfies. Products with SPF and/or silica are prone to flashback from flash photography, so proceed with caution. It’s light-medium coverage. In my video review, I said that this stuff was medium coverage. On reflection, it’s maybe not even quite medium coverage. 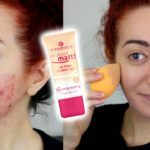 You can layer this product to build more colour, but the initial lay-down is a little sparse, and won’t do much to cover any redness you might have. It may give you acne. Again, I cannot know for 100% certain on this point. I am currently experiencing a major breakout, and my skin is quite red and sore. But, when I took this off… I had suddenly grown a few big spots that were not there before. Was it the foundation? I have NO IDEA. But I want you to be fully aware that even though this is oil-free, it could still cause you grief. There’s a limited shade range. It’s not as bad as Essence, but at only 5 shades to pick from, you might struggle. Australis of course recommend you try mixing it with their shade drops, but I personally cannot be stuffed to do this! I purchased this product not knowing anything much about it. Really, the claim of “up to 16 hours wear” was all I needed to hear to snap this up. Looking at it later, I was a bit worried it wouldn’t do what I needed it to. It says it has a luminous finish, which made me think there was no way this was going to make my oily face look good. I’ve already got enough of that ‘luminous finish’ going on! But, reading more about it, it’s designed more to even out the skin tone and brighten the complexion. I don’t think it brightens anything, but it does a great job at evening out tone. And it did an excellent job at keeping all my oil at bay for an extended period of time. The website does say it gives a matte finish, but this isn’t mentioned on the packaging. The comment about the acne is a worry for me. I want to continue testing, and see if I am blessed with more spots. If so, I will amend this review and let you know. Apart from that, this is yet another winner in my books. It’s one of the closest matches I’ve found so far to the Estee Lauder Double Wear, my HG. But it’s half the price! Actually, even less. More like a third. I think that if you’ve seen this in Priceline and you’ve been wondering if it will suit your very oily skin type, then I can say without a doubt it will. You’ll get loads of wear out of it, and feel comfortable all day. I vote you give it a crack!